Lithuanian cuisine is relatively simple compared to many other European ones. Their tradional cooking methods have some common ingredients incuding various meats (especially pork), beetroots and turnips, mushrooms, rye, potatoes, dairy products, and berries, with potatoes and bacon probably being the most used. Check out this exciting list to get a detailed idea of what you might want to go for, when in Lithuania. 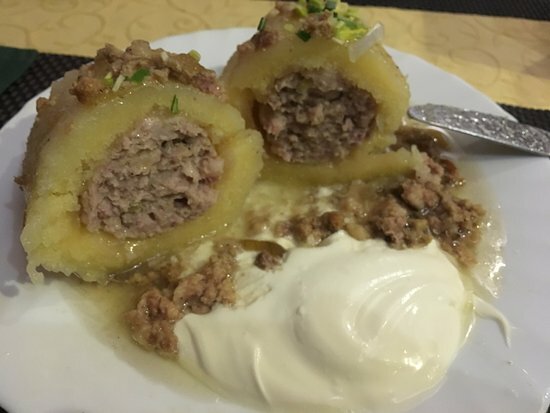 What is it: Actually known as ‘cepelinas’ (plural ‘cepelinai’), this is a dumpling primarily of stuffed potatoes along with other ingredients like ground meat (usually pork), dry curd cheese, mushrooms, and so on. The food gets its name from its resemblance to the Zeppelin airships, which, in Lithuanian language translates to ‘cepelinas’. 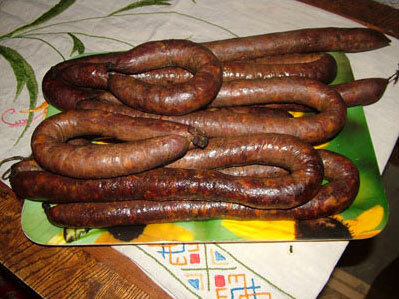 When in Lithuania, it is one of the foods you can’t miss. 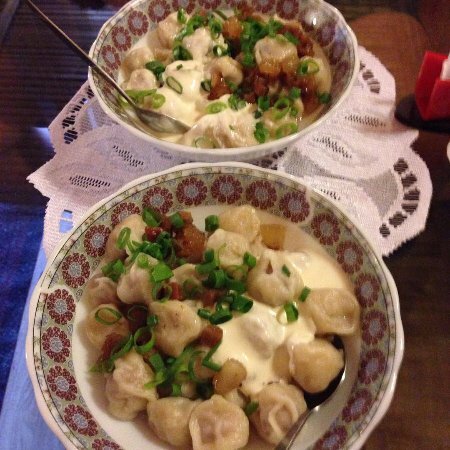 What does it taste like: The dumplings have a delightful aroma, as the tenderly-boiled potatoes mix very well with the ground meat and other spices. Finally, the Lithuanian style bacon-onion sauce adds to its unique taste. What is it: Kibinai basically came to Lithuania through the ethnic Turkish group of the Kariate people, who consider it their national dish. 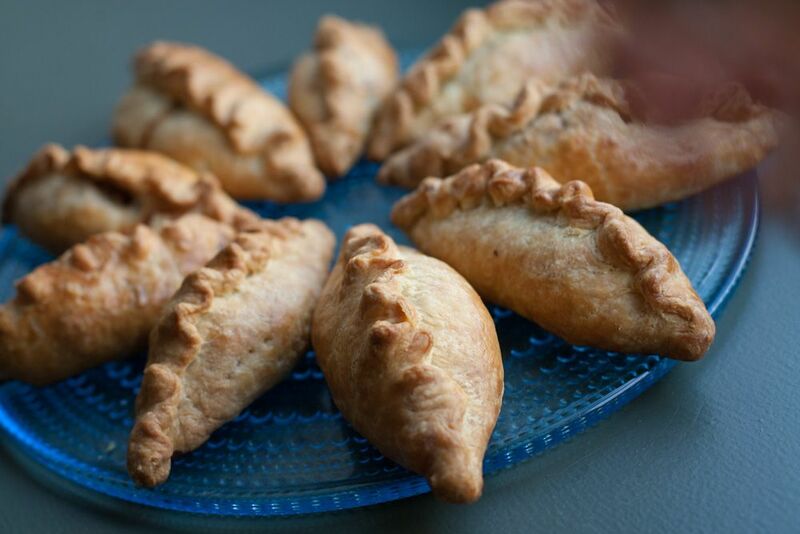 These handmade pies have been a favorite with the people of Lithuania for centuries. They have a flaky, soft crust along with cheese curd, berry jams, meat, or vegetables. The finger food is often consumed as a snack, or as an accompaniment to the traditional soups. 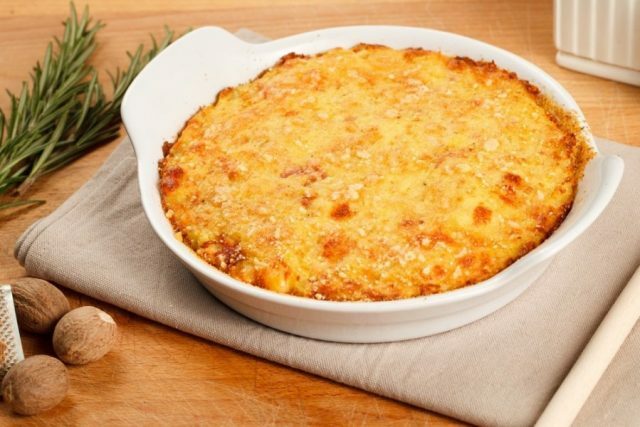 What does it taste like: The outer coat is crispy with the filling having a pleasing flavor of meat, vegetables or other fillings (whichever is used) along with the herbs and spices. What is it: Also called Kugela, this is a baked dish with a unique combo of meat, milk, potatoes, eggs, and bacon. 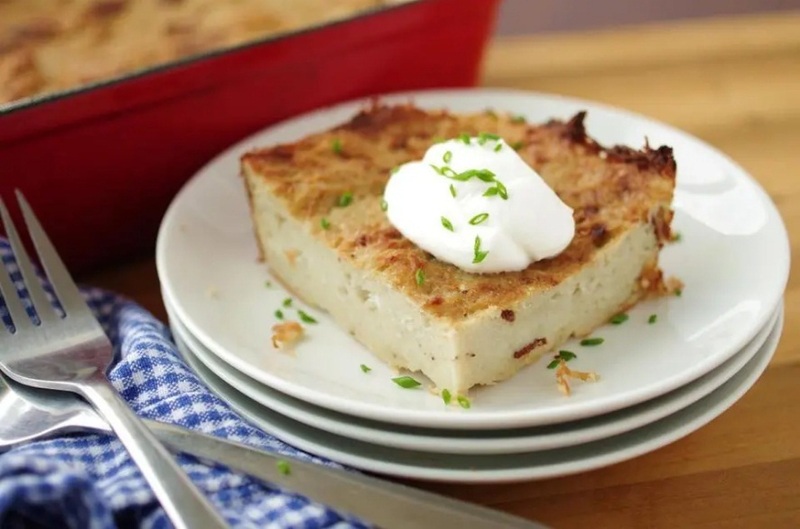 What does it taste like: The technique of baking the dish imparts a fantastic flavor to it combining the smoothly grated potatoes with bacon and the characteristic lactic aroma. What is it: Koldunai is a kind of dumpling, usually made with meat, but also with vegetarian items including mushroom. It is served with a lot of butter and other customized accompaniments. What does it taste like: The item has a distinctive taste of its own, especially, the flavorful dried marjoram, along with eggs and other ingredients, adds to its classic flavor. 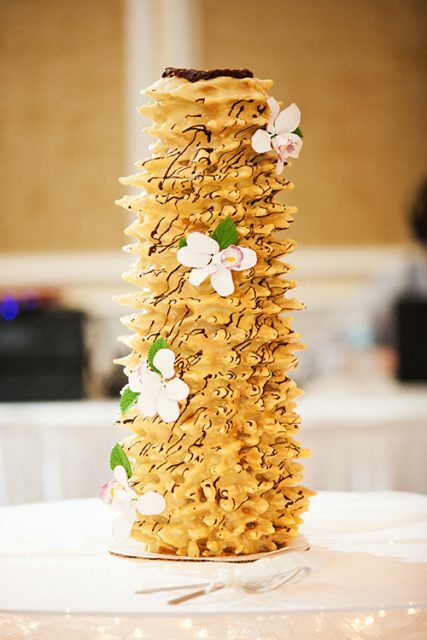 What is it: Also called ‘sakotis’, this famous Lithuanian cake is a specialty of the Lithuanian food culture and is often served during special occasions including Christmas Eve, Easter, weddings, birthdays, and also in Jewish fests like Yule. The shape is interesting, quite like a Christmas Tree, with its characteristic hollow ring at the center and ‘horns’ or ‘spines’ around the edges. The cake is often sold in shops and outlets from where you can get one for yourself. It can be quite difficult to make it at home, since one needs some specific kind of machinery to get the perfect shape. What does it taste like: The cake has a typical taste of its own with the traditional flavors of butter, milk, eggs, and special flavorings. What is it: Basically a type of fritters, the potato pancake is a delicious dish made from grated potatoes, onions, and eggs, and then combined together to deep fry. This fast food is often served as a snack at home, or even at wedding parties and get-togethers, along with dill, scallions, and sour cream. 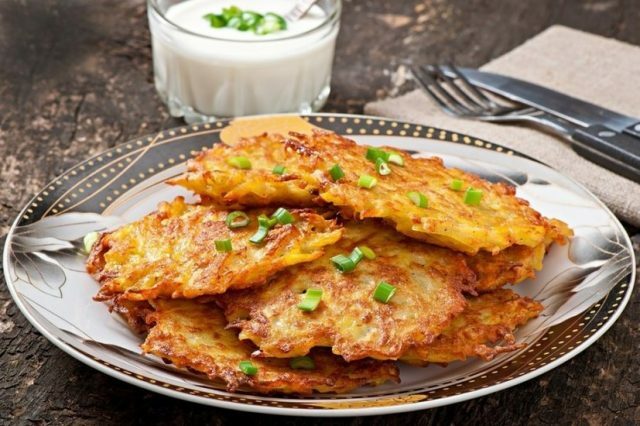 What does it taste like: The crispy outer side is a tasty contrast with the tender inside, while the aroma of eggs fried in oil, with chopped onions renders a heavenly taste to this simple dish. It also tastes great with hot drinks like evening tea or coffee. 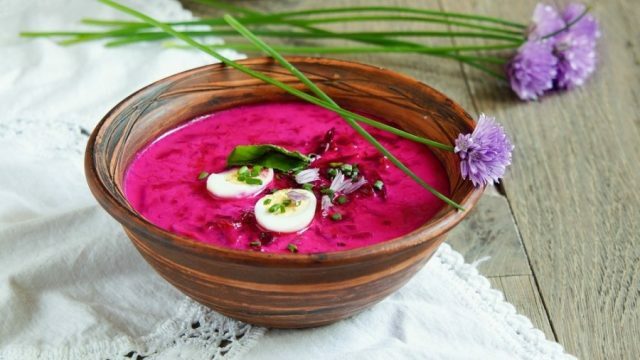 What is it: This one is a highly popular and healthy summer soup that is traditionally served chilled and is easily identifiable by its shocking pink hue! The soup is typically eaten with hard-boiled eggs and sour cream. The main ingredients of the dish are shredded beets, cucumbers, dill, and onion greens. 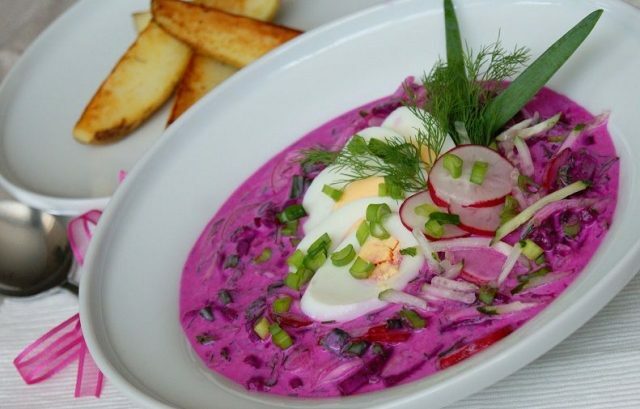 It is the addition of milk at the end that mixes with the red of the beetroots and gives the dish its characteristic pink color. The soup can also be customized to vegetarian choices. What does it taste like: This is a great refreshing item, especially for the hot summer days. The cold milk and the subtle taste of beet along with the other ingredients are bound to satisfy your taste buds. What is it: This simple pudding can be prepared fast, and hence is a favorite choice for gatherings or parties. It is an interesting combo of eggs and saltine crackers, along with milk, coconu, and vanilla essence. Because the ingredients are simple, it is also healthy, as well as easy to digest. What does it taste like: When served chilled, the fantastic flavors of each ingredient mix together in your mouth, giving you the unique taste of this yummy dessert dish. What is it: Kugla is made by baking a mixture of bacon, eggs, and potato with milk and sliced onions. What comes out of the oven, in no time, is undoubtedly amazing. 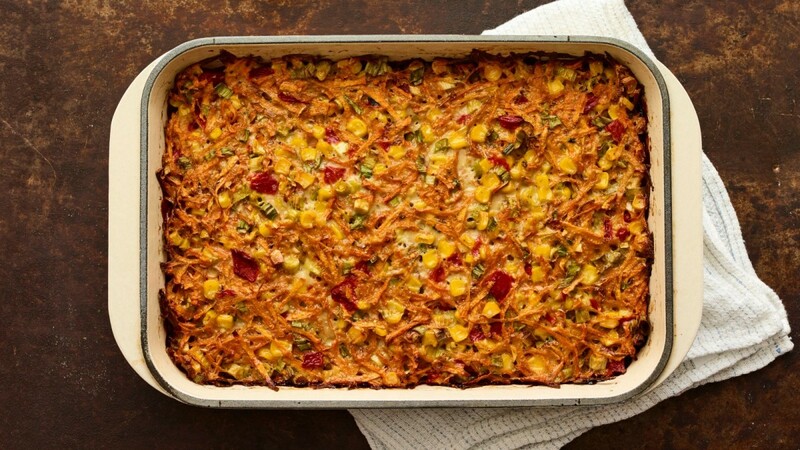 What does it taste like: Those who are lovers of the amazing aroma of bacon, would love it more when it gets baked with all the ingredients mentioned above. This is also a food worth trying. What is it: As mentioned, this is the intestine of a pig with the stuffing of mashed potatoes, bits of bacon, chopped onions, and various other spices. It is usually served with a sour cream dip. What does it taste like: The tenderized intestine goes well with the flavorful mashed potatoes, along with the typical flavors of butter and eggs enhanced with traditional herbs like marjoram. So, this list got you acquainted to the most common and choicest Lithuanian food dishes, along with their local names, pictures, and some additional details. If you are a confident food lover, we are sure you wouldn’t now take longer to plan for a vacation to this amazing European country!